LASIK eye surgery, also known as laser-assisted in situ keratomileusis, is a type of refractive surgery used to correct vision problems associated with myopia, hyperopia, and astigmatism. As any other refractive surgery, LASIK improves the refractive state of the eye and decrease or eliminate dependency on glasses or contact lenses. The whole procedure is focused on creating a flap in the cornea, the transparent front part of the eye that covers the iris, pupil, and anterior chamber, and reshaping the corneal tissue. Following the remodeling, the flap is repositioned and the eye is left to heal. This is a relatively safe procedure associated with faster patient recovery. In most cases, patients will regain better vision a day following the surgery. However, as any other surgical procedure, LASIK is also associated with certain risks and complications. Therefore, anyone considering this procedure needs to learn what is to expect. 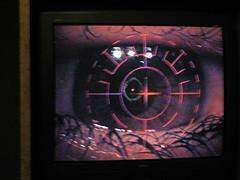 LASIK eye surgery is becoming more affordable and safer than ever. However, it is still associated with certain risks, and therefore, it is not suitable for everybody. To become eligible for LASIK surgery, patients need to have sufficient corneal tissue, and to have a stable glasses or contact lens prescription for at least two years. In addition, a candidate should not suffer from any other eye disease or eye-related condition such as glaucoma, dryness of the eyes, or any autoimmune or systemic disease. The risk of complications is very low if a patient is fully eligible for LASIK surgery but there is still a small chance of common complications such as ghosting, halos, starbursts, double vision, and dry-eye syndrome. The most common complication associated with LASIK eye surgery is the incidence of dry eyes. This is also one of the most common reasons for an individual to be eliminated as a candidate. Dry eyes often appear with itching and scratching sensations, accompanied with redness, pain and sense of a foreign object in the eyes. Patients may also experience various visual aberrations that include symptoms such as glare, ghosting, double vision, halos, loss of contrast sensitivity, starbursts, and problems with night vision. Some patients will experience only some of these symptoms, and some patients may experience all of them together. In a small number of cases, the surgery may completely fail as a result of under correction, over-correction, or astigmatism still present after correction of a refractive error. Sometimes, the vision may become worse only a couple of weeks after the surgery, which is known as regression of effect. Detachment of corneal flap during surgery! How is myopia corrected by refractive surgery?